A lot of us expect to suffer from acne during adolescence. But often times, breakouts reappear as we get older. While hormones fluctuate throughout our lives, diet is also a big component in our complexion and sugar is targeted as a major culprit. But is sugar really to blame for our skin problems? Does it affect everybody’s skin? 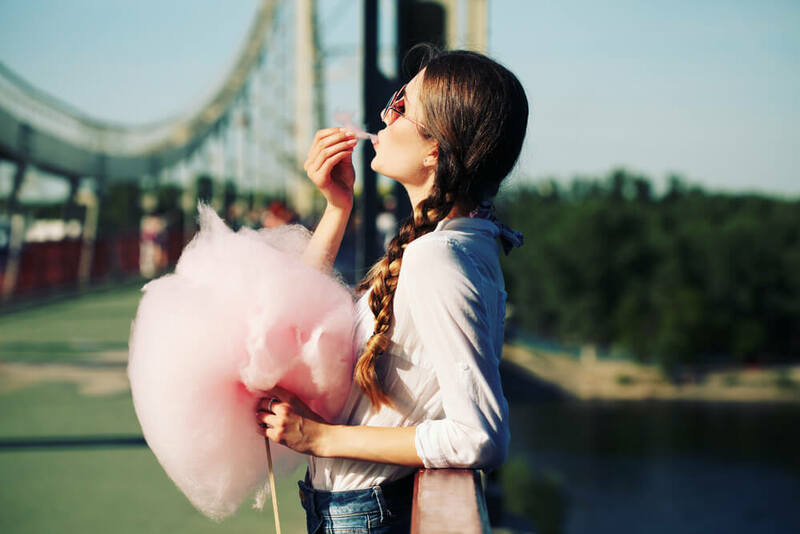 Find out what limiting your sugar intake can do for your skin. So why exactly is sugar bad for our skin? Celebrity dermatologist Dr. Harold Lancer explains that it breaks down collagen, the substance that makes your skin look plump, youthful and lifted. He also goes on to say that “Sugar can weaken the immune system, and a suppressed immune system is bad at fighting off bacteria.” Bacteria will clog your pores, resulting in a breakout. Sugar also sets off insulin production which triggers protein utilization malfunctions. Sugar acts as a kind of signal scramble, affecting the production of the proteins and amino acids that build up collagen and elasticity. “Sugars bind to the amino acid chains and they gunk up the work,” explains Lancer. Even though processed sugars are targeted as the enemy, you should beware of natural sugars that are consumed. Lancer warns that you should pay attention to where food falls on the glycemic index. Foods that rank low on the glycemic index manage insulin production which will slow down glycation, or in layman’s terms, your body will burn energy instead of storing it as fat. Watermelon and cantaloupe are high on the index, while white kiwi, blueberries and blackberries are lower. You should also be aware of wine. Idriss warns, “Drinking too much wine can affect you too. Alcohol dehydrates and causes capillaries to dilate so dark circles will show under the eyes more prominently.” You also should be careful when eating honey. Lancer rules that a quarter teaspoon daily should be the maximum. Health and beauty writer Lauren Blum was suffering from adult acne. She noticed breakouts appearing whenever she ate sugary snacks. She suspected that reducing her sugar intake might be a solution for her. She went to see Dr. Carl Thornfeldt, respected dermatologist for his opinion. Thornfeldt told Blum that sugar can activate inflammation. It also binds to the collagen to make skin stiff. He advised against any processed sugar which could lead to long-term damage due to chronic inflammation. He suggested that Blum reduce her sugar intake by two-thirds. After a week, Blum found her skin looking renewed, with lesser breakouts. There was less overall redness and her skin looked brighter. So, what’s your sugar story? Have you tried to reduce your sugar intake and, if so, how did it affect your skin?